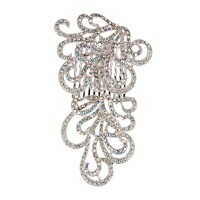 This beautiful two part hair comb is made from Swirls of AB and Clear White Diamond Swarovski Crystals. 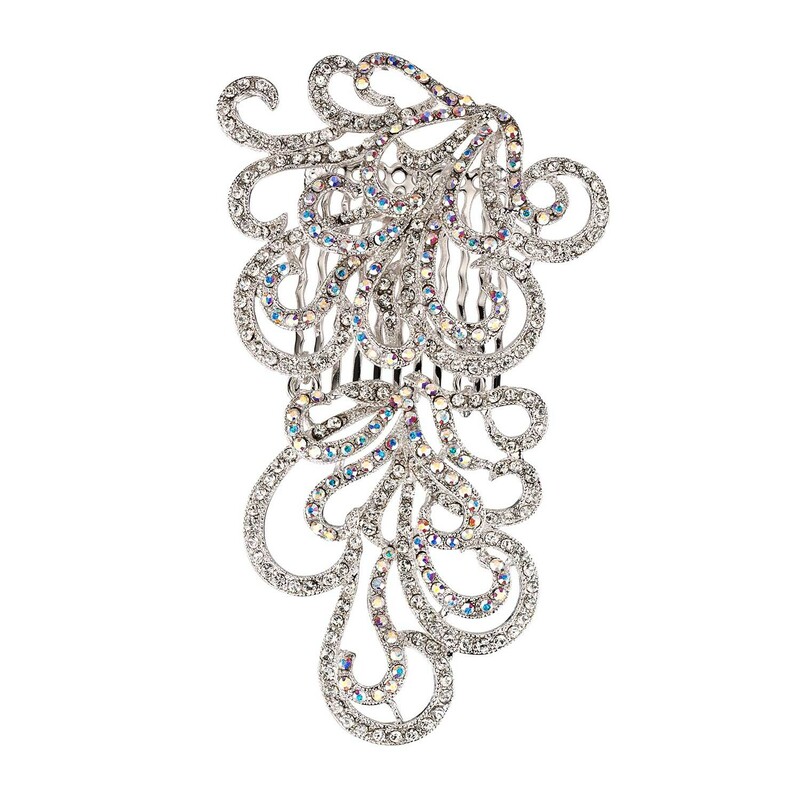 The overall 2 part decorative part of the hair comb is 100mm length and hinged for ease of wear. The top part of the hair comb is 45mm long and the lower part is 55mm. The width is approximately 64mm. The piece is made from Nickel Free base metal with Rhodium plating. Gift box is a black box with a white bow. 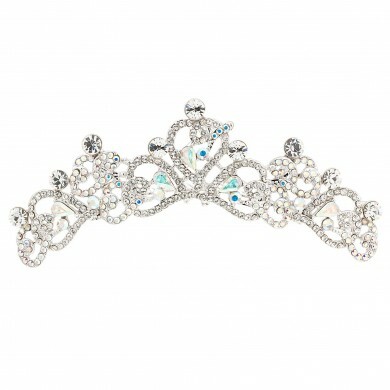 Suitable for Wedding, Ballroom, Balls and Proms.